On Sunday 25th May with the Milk Race, a cycling race, taking place in Nottingham City Centre Nottingham Express Transit services from Hucknall and Phoenix Park were turned short at Royal Centre. 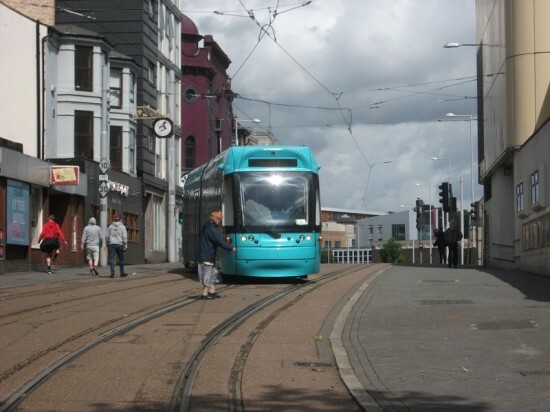 As well as the fairly rare use of the crossover at Royal Centre to regain the correct track on departure the chance was also taken to display one of the new Alstom Citadis trams at the Royal Centre stop with NET staff on hand to answer questions as members of the public had their first chance to get on board. 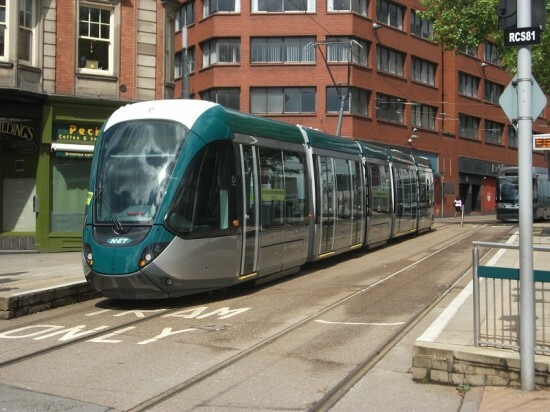 The chosen Citadis tram to have the honour of welcoming visitors was 219 which arrived in Nottingham on 14th November 2013 and has since been undergoing extensive commissioning, testing and driver training ahead of an entry into service later this year. 219 was displayed at the outbound platform at Royal Centre with training staff on hand to answer any questions the public had about the new trams. 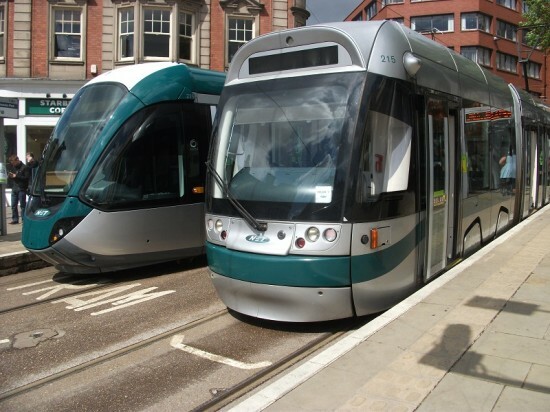 Trams from Hucknall and Phoenix Park ran into the normal city bound platform at Royal Centre where they terminated and then on their return journeys used the crossover to access the correct track. The crossover was manually operated by a NET member of staff throughout the day. 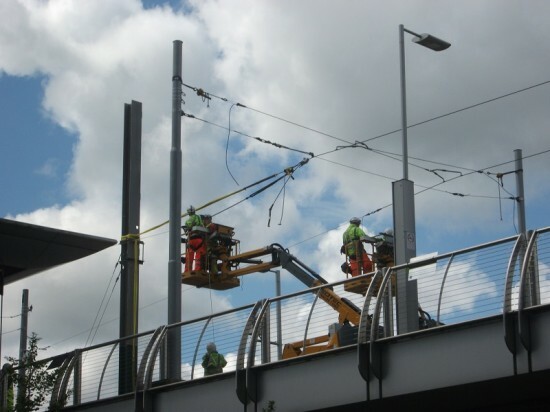 Meanwhile the chance was also taken to undertake some maintenance at Station Street with rail at the entrance to Station Street viaduct replaced whilst the overhead wire at the terminus was connected with that on the new viaduct over the railway station – making a physical connection between Phases One and Two of Nottingham Express Transit. An interior view of 219. 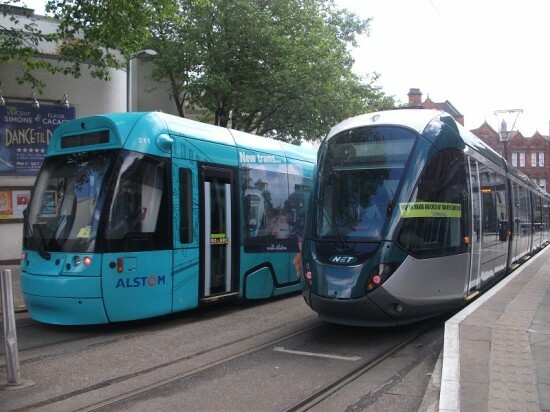 A Bombardier built tram advertising Alstom, 211, sits alongside 219 at Royal Centre. 211 shows off the maneouvre over the crossover at Royal Centre. 215 and 219 at Royal Centre. 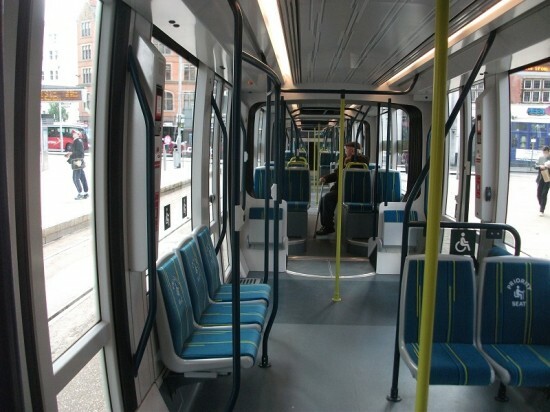 219 sits waiting for its public.